Magellans Broken Display Policy is Not Practical!!! Magellan will replace receivers with a broken display returned within the warranty period with a reconditioned unit of the same or comparable model at a reduced cost to customer. Customers with a broken display unit returned outside the warranty period will be given the opportunity to purchase a new unit at a reduced cost or reconditioned unit also at a reduced cost. New Serial Number will be in the GPS received and all your serial numbered maps will not work. In addition, any subscriptions for Digital Globe or National Geographic for your Vantage Point will not work. Broke Your Magellan Triton 200 300 400 500 or Explorist GC Display Screen? OK, you dropped it! It just flew out of your hands, off the table and landed on a bed of rocks! The LCD now has sorted black and weird colors or the LCD Lens has a wide chasm of a crack in it. We have repair hundreds of Magellan Triton's. I am sorry to tell you that there is nothing that you can do. 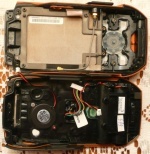 You are going to have to pay to have the LCD screen replaced. This may be painful, but it is still cheaper then replacing the whole device and possibly inheriting new problems. The cracked and scratched Plexiglass Protective Lens is a different problem and one that you can repair yourself with the correct part that we sell. (Sorry but we do not repair the Plexiglass Lens, we only supply the part for you to repair it. Now to address a Bad LCD QVGA Display. This service we do perform and we can further take advantage during the servicing of your Triton by not only replacing the COLOR LCD DISPLAY but also upgrading your Magellan to the new System 2 Operating System with better enhanced satellite acquisition, WAAS, faster TOPO map panning, greater dependability and accuracy. Remember that we offer this replacement LCD service around the World. So if you are located in North America, South America, Europe our another country just send us an email if you have a question. ---Installing a Factory New 2.2" or 2.7" LCD QVGA Display. We use the identical screen that are used in the Magellan Factory Units. We are very pleased to be able to offer you this service. 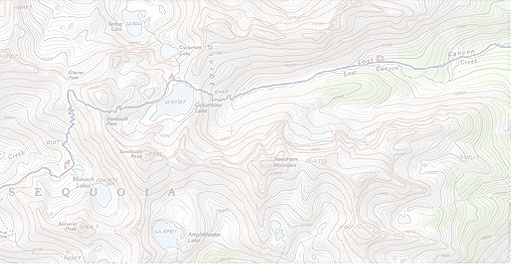 WHEN WE CONTACT YOU CAN ALSO ORDER ADDITIONAL WORLDWIDE TOPO MAPS. LCD QVGA COLOR DISPLAY SCREEN ..
We are the proven experts with the new Magellan Triton GPS Series. - We have our own software development team and guarantee your satisfactory or your moneys are refunded except for the return UPS ground shipment. Free Online Assistance - Want to chat with someone LIVE about your problem? We provide FREE online technical assistance.